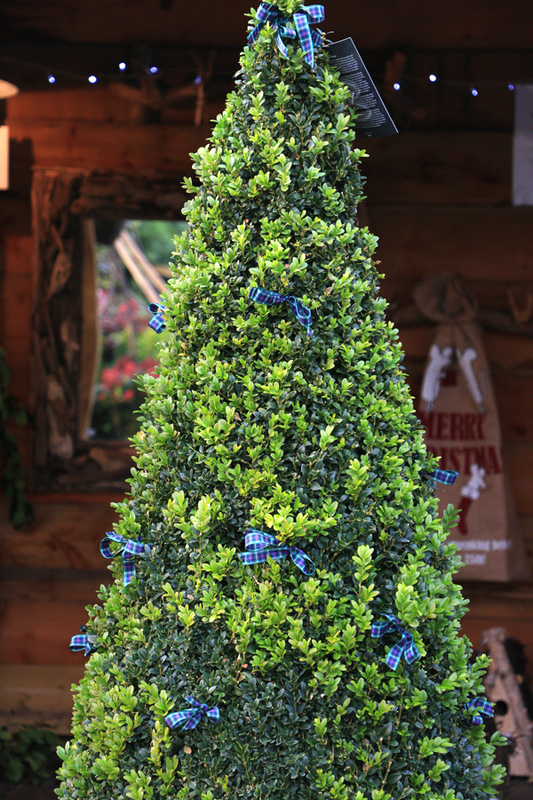 Preston Bissett Nurseries and Country Shop: Choosing A Christmas Tree. Which one is the non drop ? Is there such a thing as a non drop tree ? Is a well watered late cut basic fir just as good as a non drop variety? 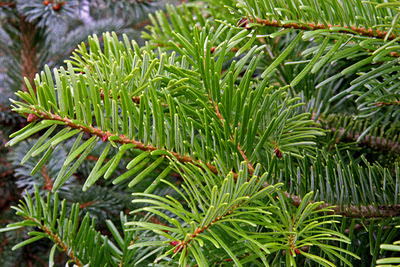 What makes the wonderful fragrance of a true Christmas tree ? Nordmann Fir-A None Drop Tree.. 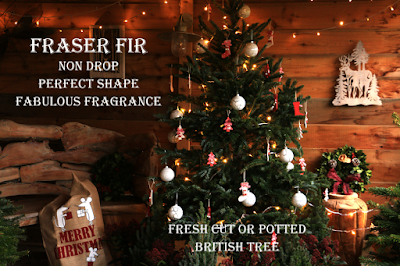 Both the Nordmann and fraser fir have non drop waxy needles. This tree is native to the Caucasian mountains which are between Russia and Iran. 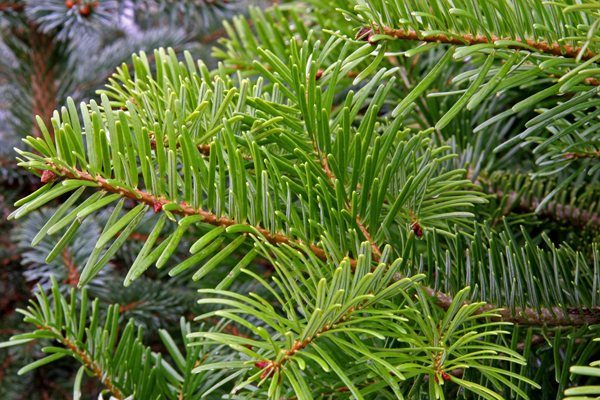 It looks a lusher deeper green than most other firs and its needles are soft almost plastic to the touch. We frequently refer to this as the non drop tree. This tree has earned its reputation. The needles will eventually drop, like any tree brought into an unnatural environment. In a house and often sat by the radiator. It is much slower to drop. The needles are larger than most firs and therefore able to retain their moisture longer. Originating from the Appalachian Mountains Mountains of North America. This tree is easily identified by the silvery blue grey pine needle. It has a frosted look about its appearance. It retains moisture well, especially when sold as a smaller potted tree. It has a unique smell not as pungent as the conventional Norway spruce, but more than the nordmann. When the tree is kept moist the aroma is quite limited. Its winter silvery colour and even shape makes it a lovely non drop tree. The Fraser Fir is a natural pyramid shape making it a better fit in many living rooms, when often Nordmann trees are a little wide at the base. It also has a wonderful Christmas fragrance with slight citrus overtones. It form cones fairly early in its life cycle it may have a sprinkling. 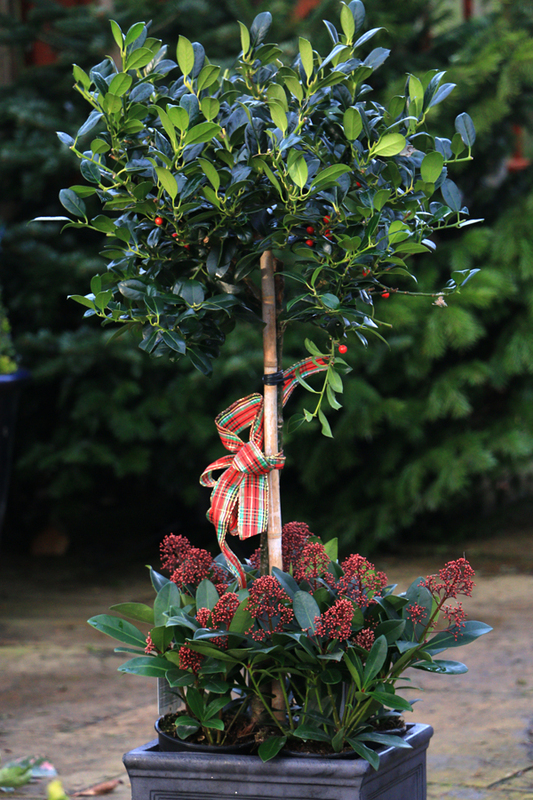 The foliage is a bluey green tinge and with excellent needle retention with slightly upturned branches it has a distinctly festive appearance. This is the most popular Christmas tree in the States originating not from Russia like the Nordmanniana but from the Appalachian or Smokey Mountains . This is the original Christmas tree introduced into Britain in the 16th Century from Northern Europe and Russia. It became fashionable when Prince Albert brought it to Windsor Castle. It is the only tree that truly smells like a Christmas tree. The smell is the moisture or sap in the needle as it dehydrates in our warm houses. It has soft green needles that we have all learned to love, and its conical shape is as good as the grower who tended and pruned it in its infancy. This is the tree that truly smells of Christmas. To have a successful tree it needs to be cut and brought into the house as late as possible, preferable stood in some water and the water needs to be topped up regularly. Choose your variety carefully. Do not choose a very spiky tree in a house with a baby. If you have the heating up high spend the extra and go for the best none drop and water it well. Consider the size. A large tree will take up more moisture and space. If you want the aroma then you need the traditional Norway Spruce or Fraser Fir. Consider buying a potted or bare rooted tree, they will absorb moisture from their roots and stand the very best chance of not drying out. They can also be replanted in the garden after the festive season. If it is fresh cut and allowed to stand in water than it will retain its needles even longer. If you can first saw an inch of the base this will open it up to absorb more water. If you want a festive tree feel but its not safe with dogs or babies consider decorating a large potted twiggy shrub like a hazel or an alternative evergreen such as a pyramid box. 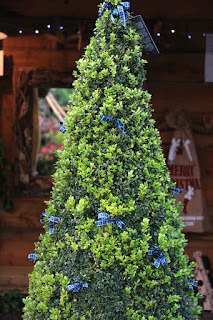 There are lots of evergreens that can look very festive.